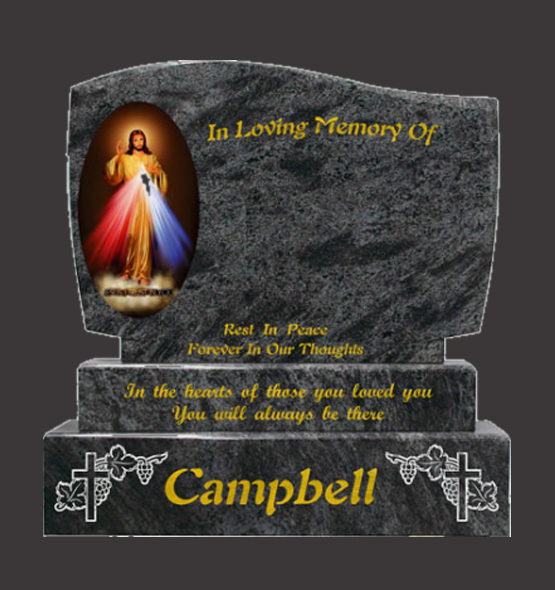 We can manufacture a bespoke memorial custom made to your personal specifications. Creating bespoke memorials gives us complete freedom in design.Our craftsmen and stone masons can work from references or even your own drawings and make your Loved One Memorials bespoke. We can also customise the carving If you are looking for a unique memorial, we are happy to talk to you through bespoke designs to produce the finest handcrafted memorial. Be a stonemasons and a memorial masons perspective, our natural headstones and bespoke memorials are the most exciting. At the initial meeting or at an arranged visit, we will discuss your requirements and ideas for your memorial including design and inscription. There are times when a headstone is just not suitable, some truly memorable is required. An estimate and proposal will be provided with no obligation and from there an initial design will then be produced. Bespoke memorials are made to order, and usually take 8 to 10 weeks. You don't have to accept anything you don't think is completely right. We can produce memorials that are completely unique, just for you .